Environmental control regulations, environmental health and safety regulations, and environmental management systems are best implemented at the facility level. This allows facility owners and managers to take control of compliance activities. However, businesses often need assistance with training program design and implementation. 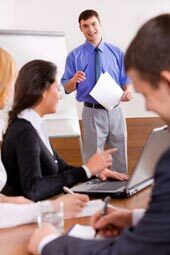 These training programs should be tailored specifically to the organization and allow for flexibility and variation to accommodate the many needs of different organizational structures and disciplines. Environmental Support Network, Inc. assists businesses with designing training programs, implementing training initiatives, and providing for ongoing support and maintenance of compliance and preparedness activities.